iTrekNepal has expanded in many directions this year, offering new trek routes and special adventures, a variety of accommodations and experiences from basic home stays to deluxe lodges, and trek services that surpass all standards in Nepal. 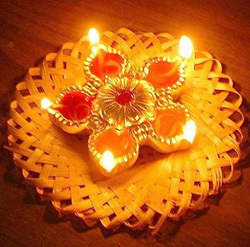 We hope that you will enjoy the news we have to share and can join us in Nepal soon. 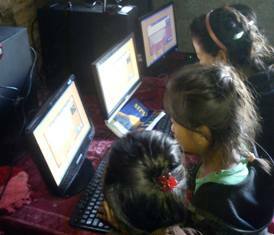 A team from ITrekNepal, with financial support from our company chairman Nick Clayton, completed a project in 2013 to bring internet connectivity and PCs to Takru Village in the Annapurna region. Takru is an ethnic Tamang village of 125 residents along the route of the new Machepuchere Model trek. Nestled on a steep hillside above the scenic Mardi Khola valley, the village is quaintly remote from modern life. Bringing the internet and computers to Takru will help bring new educational opportunities to the 30 students in the village school, and will provide a communications link to the outside world for all of the villagers. Although the hard work of installing an internet connection and PCs has been completed, there is still much work to be done to realize this potential. One of the ways that ITrekNepal plans to support this project is encouraging our guests to spend some time in Takru as part of an Annapurna trek. We are coordinating volunteer projects and homestays in Takru, so trekking guests can experience authentic village life and share their knowledge and skills with the villagers, whether its teaching English, computer skills training, or a variety of other educational needs, there are many ways to contribute and enjoy a very unique experience here. ITrekNepal has also arranged for homestays and volunteering opportunities in other villages in central Nepal.If you prefer moderate trekking combined with a village homestay and the volunteering opportunity of a lifetime, please contact Shree or Andrew at ITrekNepal. 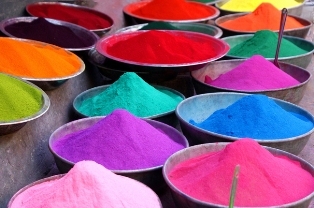 We will be glad to arrange a unique itinerary for you in Takru or other villages in Nepal. Although excellent physical conditioning is not essential for trekking in Nepal, good fitness is a critical element for enjoying a trek. Especially when trekking on steep slopes above 3000 meters, you’ll want to be in as good shape as possible. This article from the ITrekNepal website will help you prepare both physically and mentally for a trek. As noted in the article there is no better way to prepare for a trek than hiking on similar terrain to what you will be experiencing, so that you’re strengthening the exact muscles that will be required. A great way to get in shape is to book a week or two at a fitness retreat where you can get professional support to achieve your goals. There is no better fitness retreat that we know of, especially for trek preparation, than the Mountain Trek fitness spa in BC, Canada. 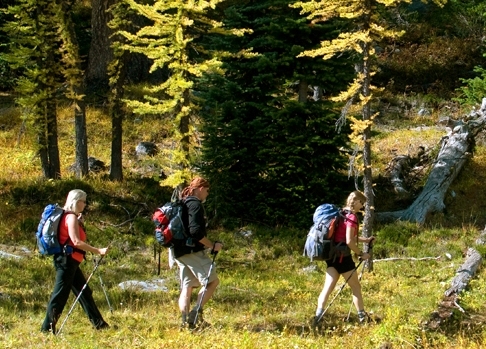 Mountain Trek is a complete resort in a beautiful location, with a program that emphasizes hiking as a fitness method, along with a comprehensive wellness program. 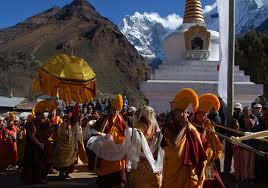 Get fit – then come enjoy a great trek with us in the Himalayas! Having easy access to clean drinking water at all times is so important when trekking in Nepal. Unfortunately many trekkers rely on bottled water that is sold in the teahouses, or else purify their water with iodine or a similar solution.Plastic water bottles are terrible for the environment, not to mention being very costly. Iodine purification is better environmentally but can make water taste bad, and is not convenient when you’re out on the trail. ITrekNepal has discovered a better way to have easy access to clean, good-tasting drinking water that is economical and environmentally sound. 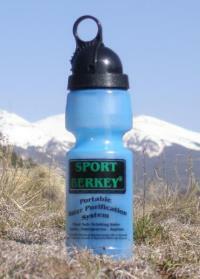 For the past five years our guests have been using Sport Berkey filter water bottles on their treks. The bottles are provided to iTrekkers along with their down jackets and sleeping bags as part of every trekking kit, without additional charge. ITrek is the only company in Nepal that provides these filter water bottles for their guests’ use. The Sport Berkey bottles use a unique ion adsorption process to eliminate 99.9% of all contaminants almost instantly as water is drawn up through the bottles plastic straw, rather than having to wait for a minute or more for a sterilization process to complete. ITrekNepal also support the goals of Freemalaya, a public service organization in Nepal that is dedicated to the elimination of plastic water bottles (and plastic bags) throughout the Himalayas. Providing Sport Berkey water bottles for our trekking guests is one way that ITrekNepal hopes to support the aims of Freemalaya while helping our guests to have a healthier and more enjoyable trekking experience.